My response: Uhmmm Obvi – Yes! And just like that, my lucky little L.A. kidlets, Shelby and Cash, were on their way to the world premiere of Disney’s Planes: Fire & Rescue at El Capitan Theatre in the heart of Hollywood! Never one to disappoint, Disney pulled out all the stops for this premiere, shutting down Hollywood Boulevard with a full-blown Planes-themed carnival. After walking the red carpet – and smiling at the thousands of people pressed up against the barricades who were trying to figure out if we were anyone famous – we received complimentary Planes caps and candy dispensers and headed on in to the party. This spectacular, kid-friendly event had everything from an elaborate fire-and-rescue vehicles display to the Planes of Fame Air Museum to miniature plane sand art tables, a bounce house and a water-play station. The Los Angeles Fire Department supplied actual firefighting uniforms for the kids to wear and they even brought a few of their Dalmatians for a meet and greet. My kids spent some time playing with the pups alongside child star Aubrey Anderson-Emmons, the actress who plays Lily Tucker-Pritchett on Modern Family! 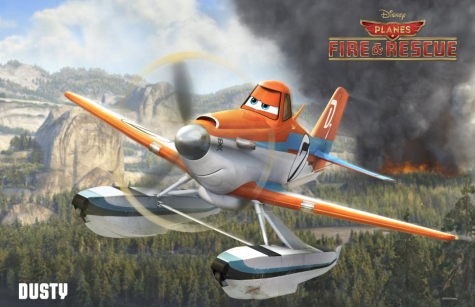 In this star-studded sequel to last summer’s blockbuster hit Planes, Planes: Fire & Rescue is a comedy-adventure that follows Dusty Crophopper, voiced by Dane Cook, as he embarks on a new path as a firefighter after a seemingly unfixable engine trauma threatens to end his racing career. In true Disney form, the film is voiced by an all-star cast including Teri Hatcher, Stacy Keach, Erik Estrada, Brad Garrett, Cedric the Entertainer, Jerry Stiller, Anne Meara, Hal Holbrook, Curtis Armstrong, Fred Willard, Julie Bowen and Ed Harris. We watched the 3-D movie in style. Our orchestra seats were amazing and the kids enjoyed the bottomless popcorn and juice supplied by the theater. Momma, on the other hand, enjoyed the bottomless wine provided pre-theater entrance. For a 4 year old, Cash is pretty well-behaved in the movies. He just had some minor issues with controlling the volume of his voice, i.e. “MOM, I HAVE TO GO PEE NOW.” But overall, movie behavior for both kids was stellar and nobody left in tears, including me. So, thumbs up to that! While we wait for the third installment of planes, both my kids and yours can occupy themselves with some of these PLANES activities! 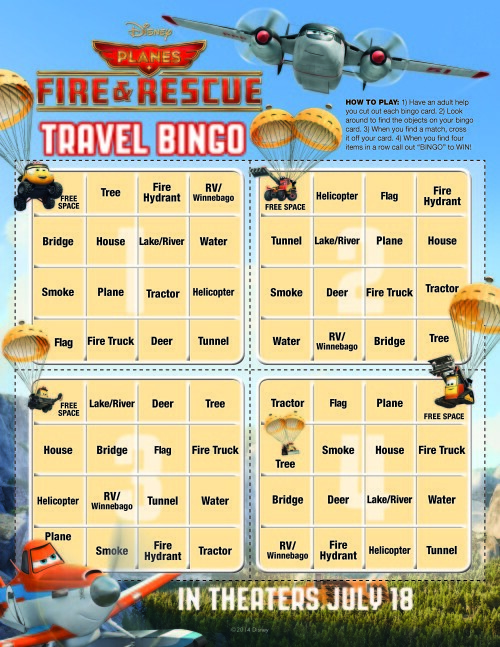 We had an awesome time and highly recommend you take your kids to Disney’s Planes: Fire & Rescue this summer at a theater near you! FOR ACTIVITY SHEETS, RECIPES, MAZES, COLORING, GAMES & MORE! 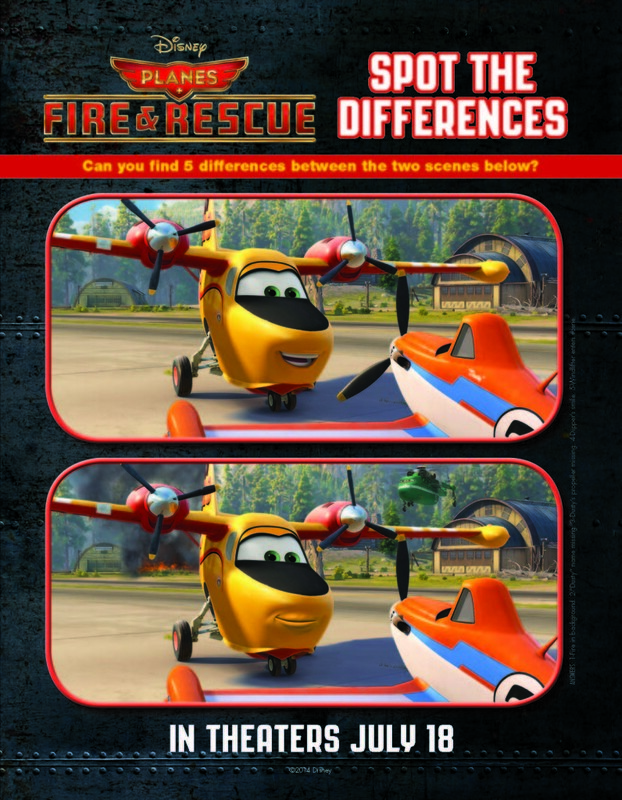 Disney’s PLANES FIRE AND RESCUE in theaters NOW!